Here a compilation of the latest eruptions and seismic unrests around the world. 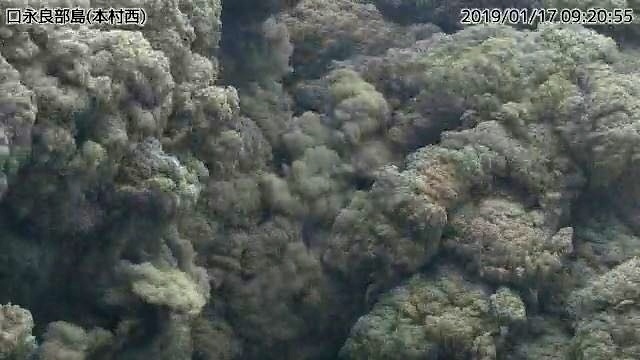 An explosive eruption occurred at about 9:19 am on January 17, 2019 at Kuchinoerabujima, in the Ryuku volcanic arc in southern Japan. 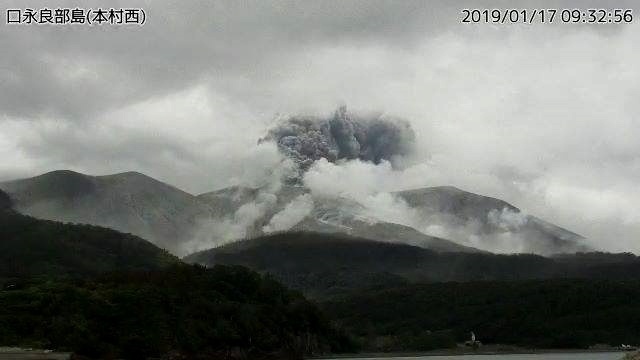 The strong eruption ejected a plume of ash more than 6,000 meters in the air and produced pyroclastic flows hurtling 1,500 meters down the flancs of the volcano. 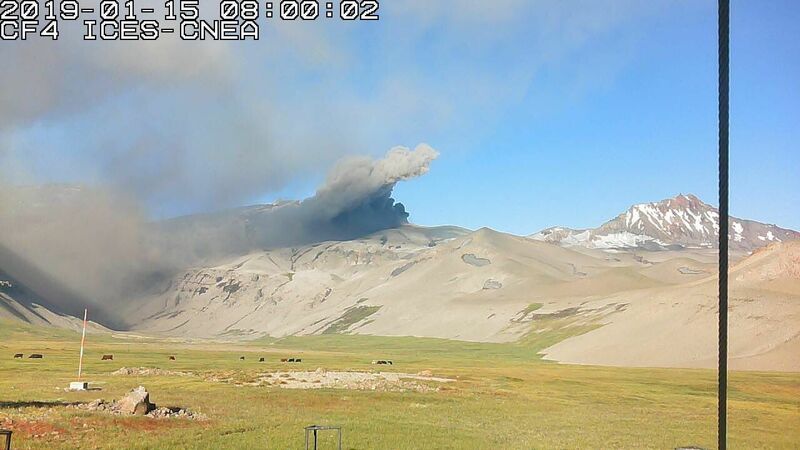 Following the eruption, a thick plume of gas and vapor was observed. Planchón–Peteroa is a complex volcano extending in a north-south direction along the border between Argentina and Chile. 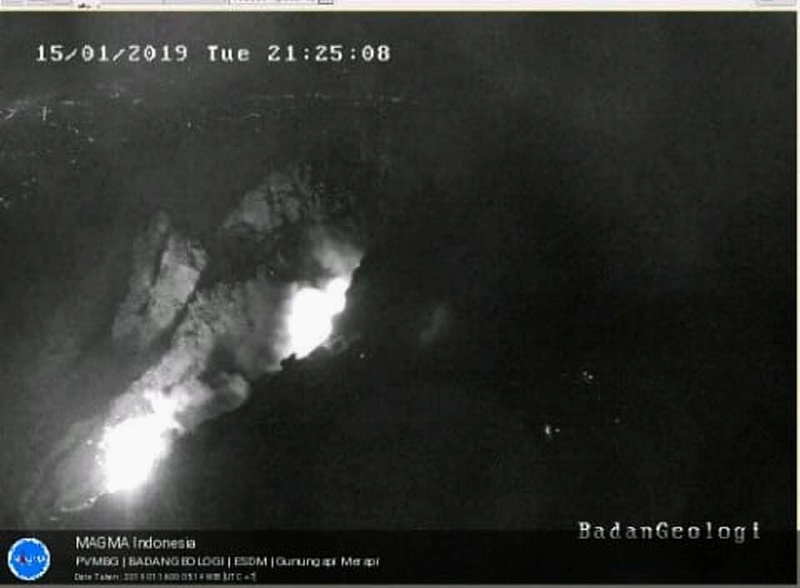 On January 15, 2019 at 20h56 local time it exploded sending a greyish ash plume at about 600 meters above the summit. According to volcanologists, a new eruptive cycle of phreatomatic characteristics develops, following the possible contact of a magmatic body with a part of the hydrothermal system. This would facilitate the fragmentation of a minor volume of magma and the expansion of steam and the emission of ashes. 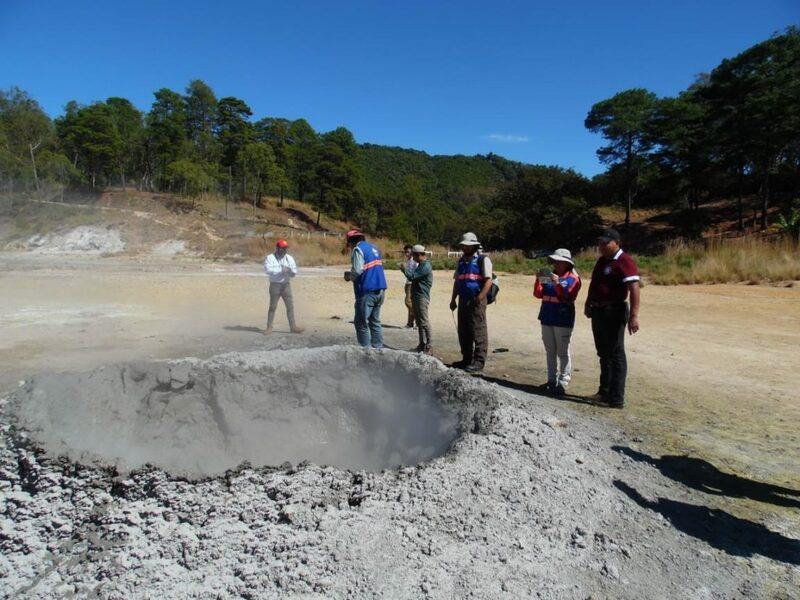 The Insivumeh / Guatemala is conducting a geothermal study of the newly formed mud volcano on the shore of Laguna de Ixpaco, municipality of Pueblo Nuevo Viñas / Santa Rosa. For now, it is too fast to speak about the formation of a new volcano. Ixpaco lagoon is situated at the base of the dormant Tecuamburro volcano, a volcanic depression connected to an underground river, which is greenish-yellow in color BUT can turn white due to the high sulfur content. 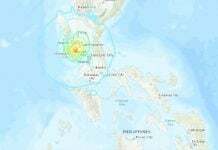 At Merapi / Java, the PVMBG reports for January 16, 2019 a total of 33 collapse earthquakes, a blast earthquake, and a distant tectonic earthquake. A large number of dead fish emerged at various sites off the barrier reef just east/southeast of Mayotte just WHERE AN INTENSE EARTHQUAKE SWARM HAS STARTED IN MAY 2018 AND IS STILL ONGOING. The fish kill is accompanied by reports of strong smell of gas, burning rubber, plastic or sulfur. “Right beneath the caldera, from the last eruption sits the magma chamber stretching 465 miles northwest. Scientists are now looking for a pattern that matches that of any previous triggering events. 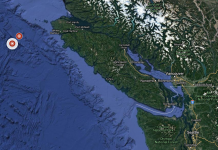 Jacob Lowenstern, a researcher with the US Geological Survey in Vancouver, Washington, detailed how the last catastrophic incident may have played out. This is the seismogram of Madison River in Yellowstone where Mary Greeley suspects the center of caldera of coming eruption. The red lines are shaking caused earthquakes. It looks getting more active day by day. Today’s seismogram of Mt Rainier. It looks really active. It is obvious the magma is getting up day by day toward the brim of the caldera. If it erupt, it is possible all the Puget Sound including Tacoma and Seattle are destroyed by Hot ash + glacier melting mud. Even just under the Microsoft headquarter in Redmond, Washington (located on foothills of volcanic Cascade Mountains) has active magma flow. East Dome, Mt. St. Helens has active magma activity. Seismogram of Duval Washington where many Microsoft people are living and where is closer to volcanic Cascade Mountains expresses high magma activities. Seismogram of Harbr Island, Seattle where is industrial port & Reptilian Secret Underground Base. Magma acticities or something else? 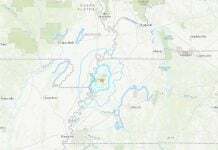 USGS Earthquake Removed; Underwater landslide? M 4.7 Ocean City Explosion Sunk Russian Sub? The splitted 2 magnetic North Poles indicates that our Earth right now is in an advanced stage of a magnetic reversal >>> the rotational axis shift.